There is often an odd disconnect between content and user experience. The two go hand in hand though. While web design helps to define the user experience, so does the content on the page. This content includes words, photos, colors, and fonts along with native ads and embedded links. 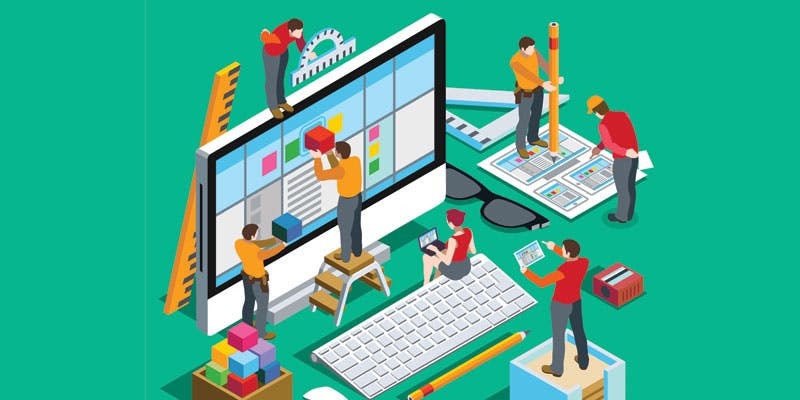 This connection is often neglected, and while content strategists and web developers often work together, the process of merging the two disciplines into a seamless result is challenging. The content writer is often writing to the web design space instead of working with the developer to combine the best wording with the most efficient and aesthetic design. What is the connection between content and web design, and what should that look like? Search matters to the organic traffic that gets to the site in the first place, and the content of the site determines in large part how that traffic gets attracted. Content affects rankings for keywords and phrases, and the answers to questions. Your definition or answer to their problem or need was not what they expected. The website was not visually appealing or at worst was appalling. The content they found was inferior or substandard in some way, and they left. The website took too long to load or did not load properly. All of these reasons for website users bouncing are in your control. You can fix them with the right web design and content. It is not enough for users to find you in a search result. They need to stay on your site in order for you to provide them with a good experience. Which came first, the web design or the content. The truth is, usually it is the web design. That determines layout, where content will go, and how much room there is for it. Is that the way it should be? The answer is maybe. In most cases the words go with photos or sections that are predesigned, and they are set up that way because we know how users typically behave on a web page. However, there are times when the content is important enough to design around it. For instance, your slogan, your reason for doing what you do, and your core values are all things you want to present on your site. They are important enough that you don’t want to compromise and condense them, but you also don’t want to make the design of those pages clash with the rest of your site. This is a case where the content comes first and then the page design follows. This is not often the case, but at times the user experience must be defined by the content first, and the web design will follow after it. It isn’t always the chicken or the egg. Sometimes the answer alternates. When it comes to any website, content is king. This means that the content still defines the user experience and is what draws the user in most cases. The searches that users conduct, the information they find on your site all define their early experience with your company. The content is what provides them with the path down the sales funnel. Users will either approach your site knowing that they have a want or need, or they determine that from the content on your site. That same content helps them determine if your product or service will meet that need or satisfy that want. Content is what informs their journey from prospect to convert. When it comes to the user experience, content is king. You have heard the saying that the king is the king, but if the queen is not happy, nobody’s happy. This is never truer than when it comes to websites and web design. Your content is king, but it is important to keep in mind who the content is for. We often become so focused on SEO and Google rules that we lose sight of the fact that the user is who our site is ultimately for. After all, it is called user experience, not Google experience. For instance, if you have a domain name that resonates for SEO and Google but makes your audience giggle because of the abbreviation it creates, it is time to get a new domain name and do some redirecting. For instance, the Iowa Department on Aging, when confronted with the site name idoa.com discovered seniors were not fond of the abbreviation, and others made fun of it. Not only did they change the name of the website, but they changed the department name as well, all because of the user and the initial user experience. The user should define what you do from domain name to hosting to design. If they don’t, you are going about things the wrong way. Having a king and queen would not matter at all if there is no kingdom. Your kingdom will be filled with users who are potential customers, current customers, or regular returning customers. This kingdom is where your profit lies. The content you create speaks to this kingdom, and keeps your subjects coming back for more, or sends them running to your competition. Whether you build or tear down your kingdom is dependent on your content, your web design, and the user experience they provide. Without content, your kingdom will be small, one dimensional, and not engaged. Content is user experience. Always keeping it in mind and hand in hand with web design will make your digital marketing efforts that much more effective.